New Install Of Windows XP is the 3rd of a 4-part series on how to install the Windows XP Home Edition on to a new computer or hard disk. This legacy operating system remains popular with home computer users. Here we look at the final set of decisions you need to make during the installation process. Part 1 walks you through the initial parts of the of the installation process. Part 2 talks you through the next set of choices during the installation process. Part 4 advises on the choices to be made in the final steps of the installation process, and suggests some further tasks before installing your applications. How do you setup Windows XP? Do you like a certain theme or wallpaper, for example? Do you customise your Start Menu? How do you set it up? Share how you setup your Operating System by writing your own web page. Complete the Operating System Settings Form at the bottom of this page. Click here to read about Other Visitors Settings. The Table of Contents enables you to hop to the part of the process that you are interested in. Part 1 discusses the first set of steps to take at the beginning of a new install of Windows XP. We look at. The final steps of the initial installation process such as files copying from the CD to the hard drive. What is happening when the installation process is collecting information and preparing the installation. The choices during the installation process, such as entering your license key and naming your computer. The next section of the tutorial series completes the installation process. 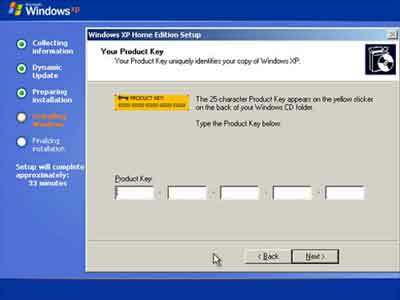 After you select the Typical Settings option at the Network Settings stage, Windows XP Home Edition continues with the installation process. On the Workgroup or Computer Domain, if prompted, select the option No, this computer is not on a network.... Leave the default WORKGROUP setting in place. Windows XP Workgroup Or Domain? Windows XP Home Edition continues with the installation process. More marketing screens outlining the benefits is displayed, such as Device Support and enhanced Security. The installation process moves onto the Finalizing Installation stage. This is where the choices you made during the installation process are saved to the new Operating System settings. Your machine reboots when the Finalize Installation step completes. On restart, the installation process reviews and adjusts your screen resolution in line with your machines hardware capabilities. Click OK when prompted. When the Optimum Monitor Settings are determined, your screen resolution is changed, and you are prompted to OK the changes. If you do not want to change the screen resolution at this time, simply let the clock count down and the resolution will revert. 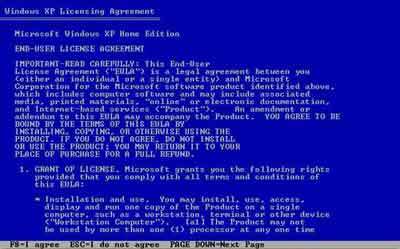 This tutorial ends with the completion of the Windows XP Home Edition installation process. However, you are not done quite yet. Part 4 shows you what additional steps you need to take to ensure you have a solid operating system on which to install your applications. 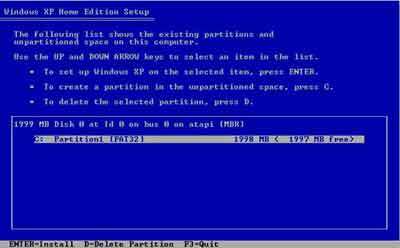 For extra install assistance with this version of Windows take a quick look at the Build Easy PC (Opens New Window) tutorial. How do you setup Windows XP? Do you like a certain theme or wallpaper? Do you customise your Start Menu? How do you set it up? Enter Your Title e.g. "Classic Start Menu Only For Me"